Knight Rider 2008: Mystery and Suspense on Television. NBC brought Knight Rider back to life as a reinvented, updated and supercharged action series showcasing the new KITT (Knight Industries Three Thousand). Absolutely the coolest car ever created, KITT is equipped with an artificial intelligence that is capable of hacking almost any system. Its weapons systems match that of a jet fighter, and its body is capable of actually transforming into other vehicles and using sophisticated holographic imagery to elude villains. 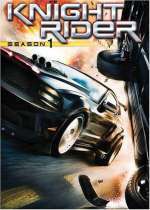 The series starred Justin Bruening as Michael Knight, KITT's driver. A made-for-television movie served as the series pilot. See also the original Knight Rider starring David Hasselhoff.